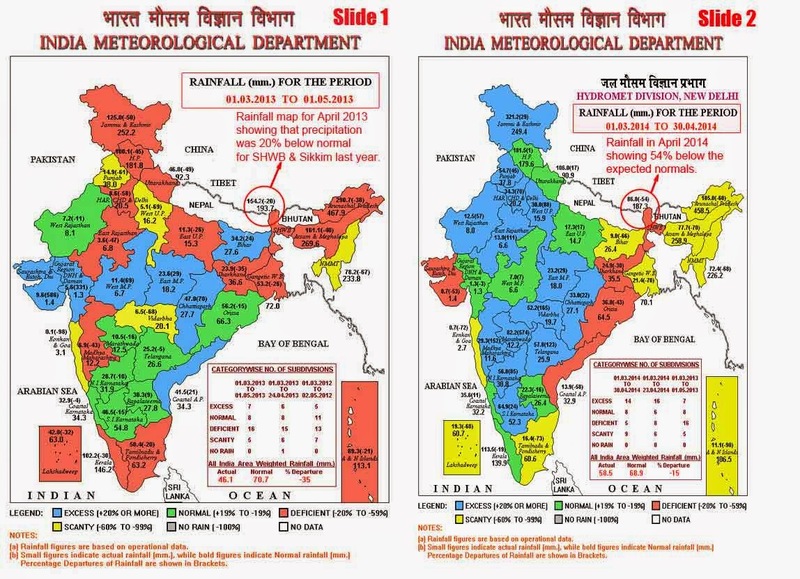 The precursor to the monsoon season in 2014 has been even bleaker than in 2013 with the Pre-Monsoon season (March-May according to IMetD) bringing hardly any rainfall to Sub Himalayan West Bengal and Sikkim. 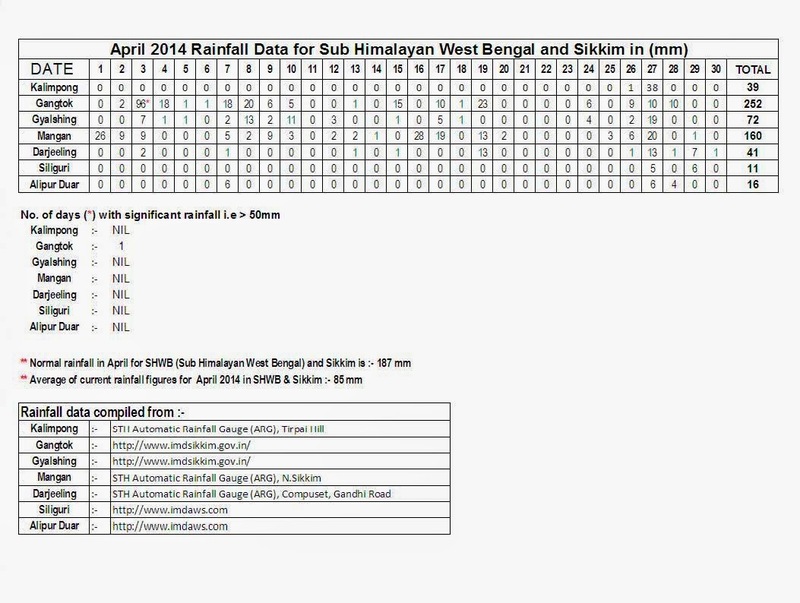 In April 2014, Kalimpong saw only two rainy days and though Sikkim seems to be getting more rainfall than Darjeeling district, the region as a whole has received less rainfall than last year for the same period (shown in slide 1&2). Let us hope that the 'rain gods' are kinder in the months that follow.